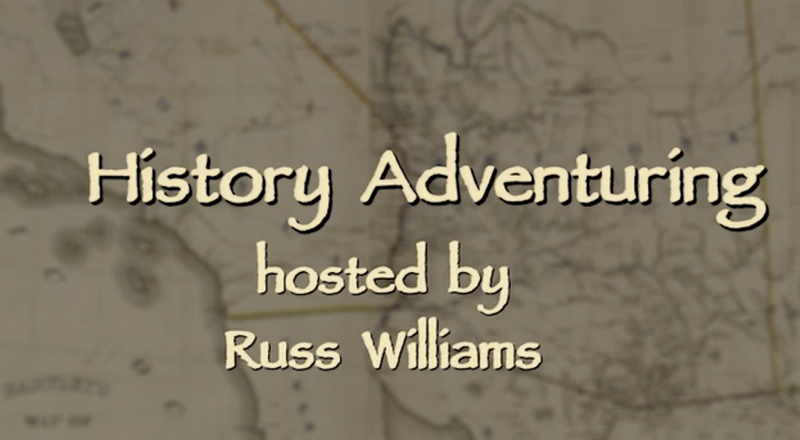 I'm getting a big kick helping my friend Russ Williams create the History Adventuring videos. Well, he does all of the work, I just provide the encouragement. He's basing them on the stuff that I've been writing about for years, and he's starting with things that catch his attention. He's already done a video about why Baseline Road is called that, and currently he's finishing up the one on Grand Avenue. Not sure what he has planned for the next one, it may be the Indian School, I really don't know yet. That's how it works! I've offered this type of help to anyone who wants to make use of the stuff that I've collected, and that means the photos I've found, and the information I've found. My only goal is that these things don't end up in the trash, or being forgotten, or locked up in boxes somewhere. I've invested a lot of time, and will give more, but that's it. I don't have pockets deep enough for publishing, or video production, or anything like that. I would love it if people whose pockets are deep enough would invest in this kind of stuff, but that's up to them. My financial investment is in paying for the server where I upload the images, and paying for the domain name of HistoryAdventuring.com. Like me, Russ Williams is a project person. He's been doing videos all of his life, and you've probably heard his voice if you've lived in the Phoenix area for a while. I'm not sure exactly what he's done, but he's what's known as a "voice talent". He's usually behind the scenes so it's kind of cool to see him in front of the camera, as the host. I guess you could think of him like one of those actors who directs a movie that they're in - setting up the camera, and then getting in front of it. Scene from the video about Baseline Road. 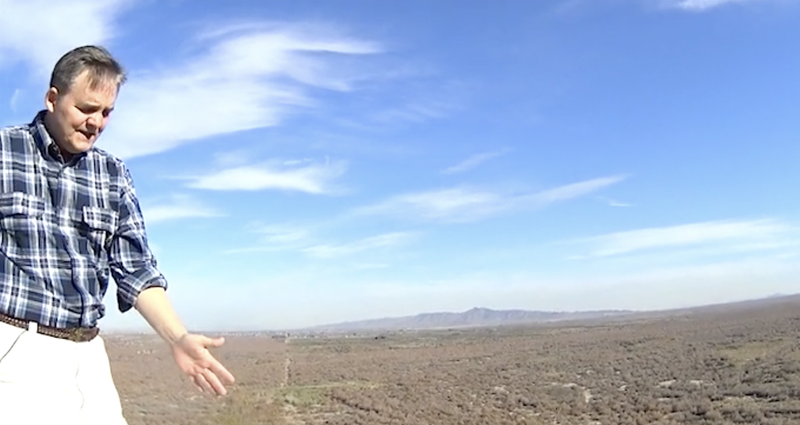 Russ is standing next to the Initial Monument, showing the path of Baseline Road (next to his hand). There really isn't a financial goal to these videos, well, not yet. But they're still original copyrighted material, made with (I just learned this) about 20 hours of labor to make four minutes of final video. And I really have no idea how this works, but it might get picked up by a TV station, or something. And since they're copyrighted, I've agreed not to upload them where people could see them for free. The only thing I asked Russ is that they be allowed on my Patreon page as a reward for the top tiers. If you're reading this from Patreon you already know that. I'm glad to help. And I'm happy to see this kind of information preserved, and possibly presented on TV, or in schools. Thanks, Russ! 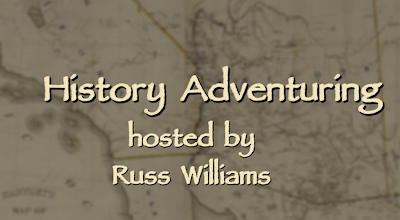 This video is available to my Patreon members at the "Phoenix History Detective" Level. Click here to become a member.